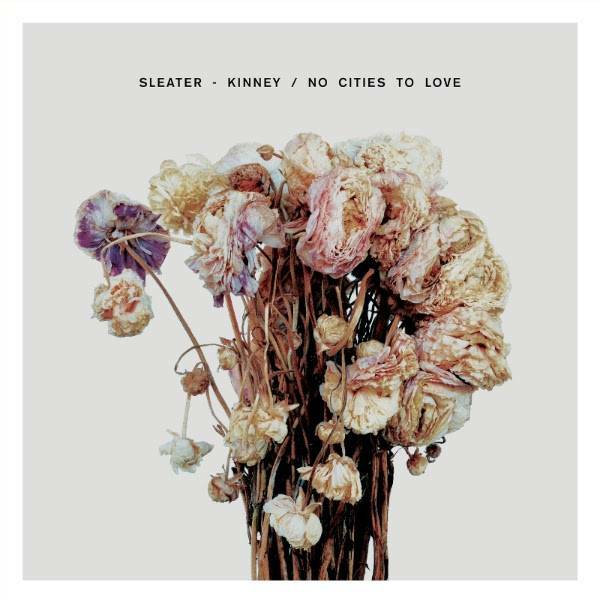 Sub Pop Records announced today that Sleater-Kinney will release No Cities to Love. The album is their first in ten years. The record is out January 19/20 worldwide, with North American and European tours to follow. Alas, the closest the band is coming is the tour kick-off date, Feb. 2 in Spokane, Washington, at the Knitting Factory (see below for full tour dates and album tracklisting). For a taste of the new album, check out the video for “Bury Our Friends”, which (sort of) features writer/filmmaker Miranda July. No Cities to Love is now available for pre-order on CD / LP / DL through the Sub Pop Mega Mart, iTunes, Amazon, and Sleater-Kinney’s website. A limited, deluxe edition on white, 180-gram vinyl will also be available. The deluxe LP version features a tri-fold jacket encased in an outer slipcover, and includes two bonus tracks on a single-sided 12″ with an etching on the b-side. Sleater-Kinney formed in Olympia, WA in 1994. Since the 2005 release of The Woods, Tucker has released two albums with the Corin Tucker Band, while Brownstein and Weiss released one album with Wild Flag. Brownstein also co-created and co-stars in the IFC series Portlandia, and Weiss has recorded and toured with Quasi and Stephen Malkmus and the Jicks, among others. This entry was posted in Homepage Features, news and previews and tagged Miranda July, music news, music videos, Sleater Kinney, tour dates. Bookmark the permalink.